With the world constantly changing around us, it’s very important to be environmentally aware and active. We have all heard this message before; going green is important to help protect the environment and reduce consumption of the planet’s finite resources. 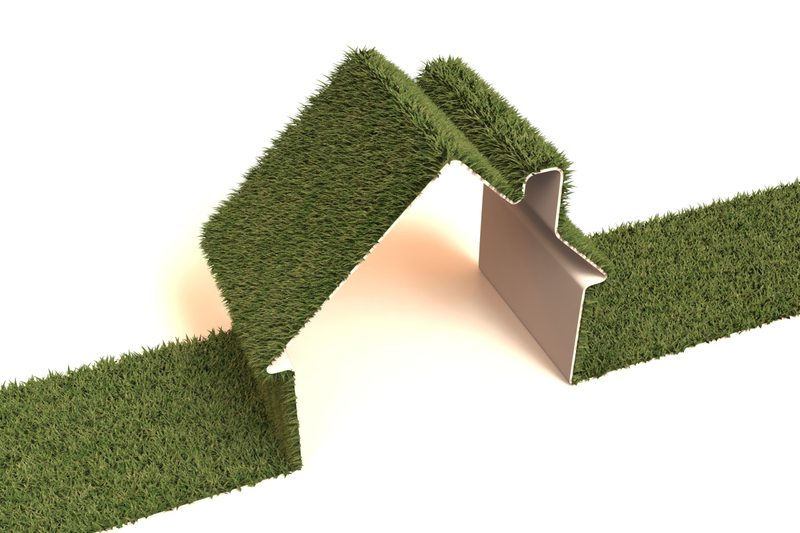 The thing is, going green at home is not only good for the environment, but it is also a great way to save money. Just by making a few changes to your lifestyle and your home, you can reduce carbon dioxide emissions and your environmental footprint, while saving you money in the long run. The best part is that many of these changes are actually pretty easy to implement. When it comes to purchasing new appliances for your home, be sure to opt for energy-efficient ones. These will help you to reduce greenhouse gas emissions, while also helping you to save money on energy bills, and all without having to worry about compromising performance. Many electric appliances sold in Australia come with an Energy Rating Label, making it easy to see how much electricity that product uses compared to other appliances. They can be found on everything from washing machines, to dishwashers, air conditioners, fridges and freezers. Australians love their gardens, but they can be a bit of a water guzzler. For some, watering the garden can even account for as much as 30%-50% of the water bill. Save money and avoid wasting precious water by installing rainwater harvesting systems, such as rainwater tanks, in your home. The water you collect can then be used for other purposes, including your sprinkler system. Of course, that water can also be used for things like your toilet or washing machine; your household daily water consumption determines the size of the tank you need. If you choose to install one, then you may even be entitled to a Government rebate, depending on where you live. The best source of clean, renewable and low-cost energy is the sun. Solar panels may be expensive to buy and install, but the long-term savings are worth the initial investment. Not only can you bring down the cost of your energy bills, but you may also be eligible to receive a benefit from the government to help with the purchase of the cost. Where you place solar panels can have a substantial impact on the amount of power you collect, so you want to take full advantage of light to get the most efficiency and energy from your investment. Adding insulation to help prevent leaks in your windows, walls, doors and ducts can make a big difference the your home’s energy usage. While not everyone will have the budget to totally redo the insulation in his or her home, even making small changes can have a big impact on the amount of energy you use. If you are looking for more budget friendly ideas, try installing thermal shades that can help to retain heat in the winter, while blocking out the sun in the summer. Even using a draft guard on your outside doors can help to keep the cold out and reduce the need for heating. One of the simplest ways to cut down on the energy consumption used to heat and cool your home is to install a programmable thermostat. These can be programmed to different temperatures, as well as turning your cooling or heating on or off depending on whether or not someone is at home. Keep in mind; every degree by which you lower or raise your thermostat can raise your heating or cooling bills by up to 10%. If there is an unexpected change in temperature, be sure to change the settings so you don’t end up wasting energy. Traditional incandescent light bulbs use up far more energy, as 90% of the energy is given off as heat. This lost energy is essentially money that you are throwing away. Replace old bulbs with newer energy-saving models and cut down on costs. Another change you can make to your lighting is to install dimmer switches, which not only creates a nice ambiance in the home, but can also help cut down on electricity bills. The three R’s are still very relevant today, and there are many simple things you can do around the home to make a big difference. Before throwing something away, think about whether or not you could reuse the item another way or recycle it. Many recycled items can be used in green home building, including plastic, reclaimed lumber, aluminium, glass, and tiles. Everyday items such as coffee grounds and glass food jars can be reused in your garden or for storage, so always keep in mind ways you can reduce waste around the home. Single flush and inefficient dual flush toilets are among the biggest water wasters in your home. By installing WELS 4 star water efficient dual flush toilets you can lower water usage from your toilets by as much as 65%. If you can’t afford an upgrade, there are other ways you can reduce water consumption. Try installing a cistern weight or converter, which will stop the water flow as soon as you stop pushing the button. It can cost a lot of money and energy to stay cool in the summer and warm in the winter. Installing windows, for example, with energy efficient glass can help by controlling how much heat enters or escapes from your home and the same goes for panels and doors. Use energy ratings to determine how energy efficient the models are and help to determine how much money you can save through installation; don’t forget to ask for quotes from both national and local suppliers to secure the best deal. The energy savings obtained by these elements will help to save you money in the long run. Getting your whole family involved is the best way to ensure that you make the necessary changes to make your home a greener household. Take the time to discuss simple methods of going green, such as turning off any appliances or lights when not in use. Remember, there are certain things that still consume energy even when not in use, so sometimes it is best to just unplug. This includes things like phone chargers, laptops and televisions. Changing simple habits such as these is one of the easiest ways to reduce energy consumption, so make sure you get everyone in the family involved.